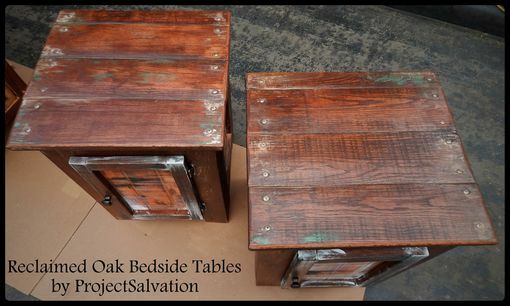 These bedside tables were designed as a custom order for a customer and made using reclaimed oak. 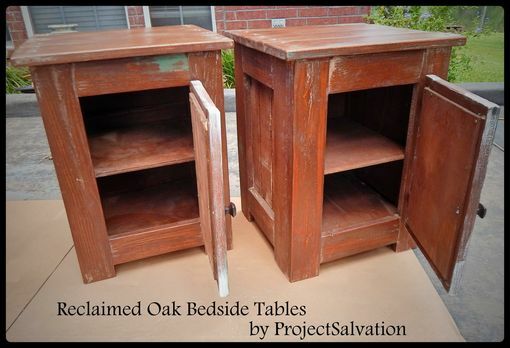 The oak was donated by a local contractor because he could not use the material due to cracks and other flaws in the wood. 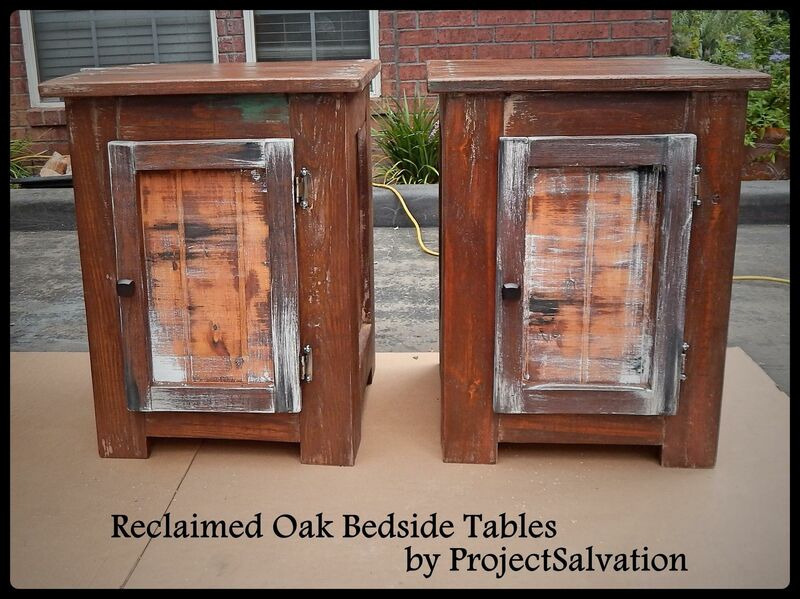 The tables are made entirely with oak with the exception of the two recessed sides and door which are made using reclaimed siding. 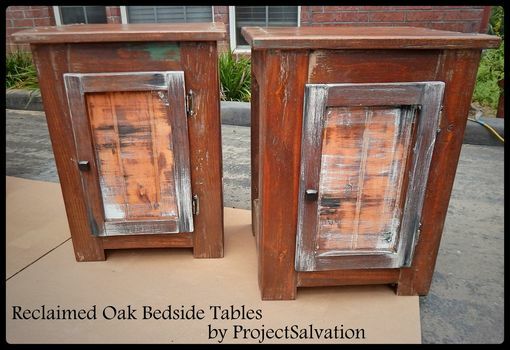 These bedside tables were stained and accented with various colors based on the customers preferences. 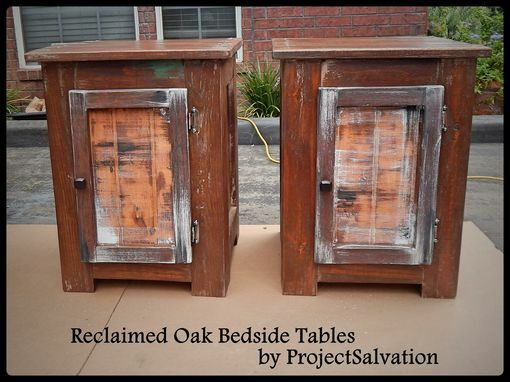 Tables can be designed and finished based on your personal size and style preferences.